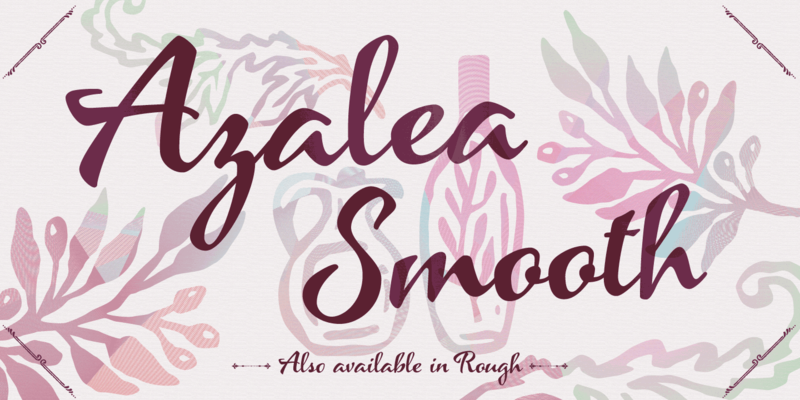 Azalea’s careful, inky strokes reference classic brush script styles of the 1950s, but its jaunty angularity is distinctly modern. Artfully irregular thicks and thins lend it an organic and slightly rustic feel, which is further enhanced in its rough-edged counterpart Azalea Rough. A font family published by Laura on Tuesday, July 26th, 2016 that has 2,040 views so far.